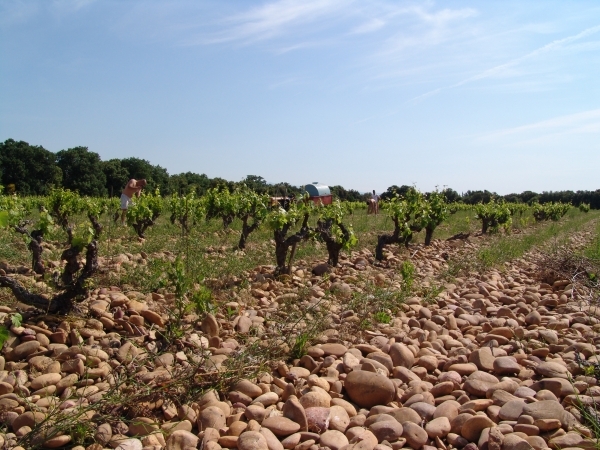 Trees surround our vineyard, and old vines grow in a see of round pebbles. Grenache, Syrah and Cinsault are the main grape varieties grown at the Domaine, and they offer the best of our region, now recognized by the appellation Gadagne. 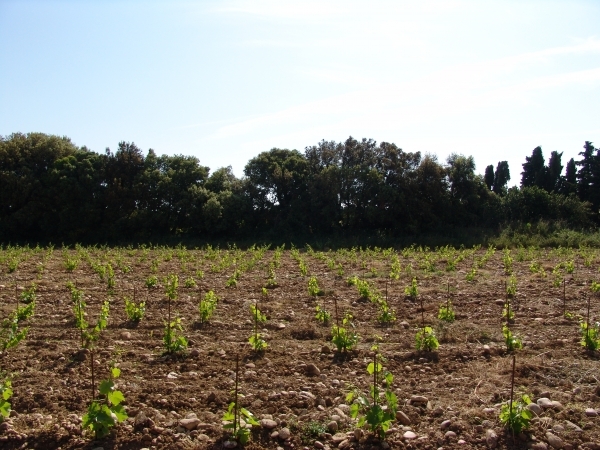 The sun warms the vineyard and the wind "Mistral" dries it, keeping it healthy and enabling an organic winemaking. Low yield of exquisite grapes are the starting point of our wines.